WORLD Boxing Federation (WBF) All-Africa heavyweight champion Elvis Moyo has roped in Cape Town-based Zimbabwean pugilist Felix Nkululeko Venganayi as his trainer on his European tour in May. 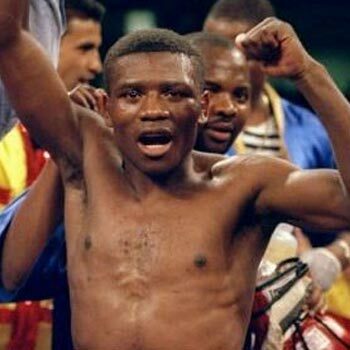 Moyo, who is based in Johannesburg, is set to fight Arnold Gjergjaj of Switzerland on May 25. “I will be taking Venganayi with me to Switzerland for the fight. He will be my trainer. Remember he took Mzonke Fana plenty of times to Europe so he made connections that are now in contact with him. He has been contacted four times by his European contacts regarding me and even for this fight the promoters spoke to him,” said Moyo. The Bulawayo Bomber moved into the top 100 of the world rankings following last month’s win over South African heavyweight champion Ruann Visser in Pretoria. Moyo moved 42 places up the rankings following his unanimous judges’ win over Visser and now sits in 70th position with 19 points, while his 34-year-old challenger Gjergjaj is ranked 58th with 22 points. “My win over Visser has opened opportunities as it pushed me into the top 100. Remember I spent 10 months without boxing and my rankings dropped. Now I’ve received an offer to fight in Switzerland. I took my time to decide and after watching videos of Gjergaj, I thought of giving it a go. I accepted the offer on Wednesday and they should be sending the contract anytime,” said Moyo. The Bulawayo Bomber is nursing a hand injury and needs R30 000 for an operation. He said he will not strain his hand during training and will go for therapy. The Zimbabwean pugilist sustained the hand injury when he successfully defended his World Boxing Federation All-Africa heavyweight title against Kilola Lubika Didier of Congo in January 2018. He went on to beat Ukrainian boxer Pedyura Maksym in April and Visser last month while carrying that injury. Gjergjaj has 32 career wins and two losses recorded against British legend David Haye and Sean Turner.